Today we are interviewing Melissa Martineau Alexander, author of the suspenseful romance novel Anatomy of an Affair: Part 1. I’m a forty-two year old mother of two currently living in Rhode Island with my husband, Stephan and children, Maxim (age 5) and Melina (age 3). From the time I was young, I always loved writing, whether it be poems, short stories, essays or just writing in my diary. In high school I would participate in our school’s annual Literary Arts Festival, usually submitting and reading various essays or poems I had written. I’d always had the desire to write a novel and attempted this several times over the years, only to become overwhelmed and quit after writing ten pages or so. Honestly, I have no one to blame, but myself for not having the discipline to finish during that time. Up until I had children, I had a career as a commercial real estate paralegal and title insurance underwriter. Once becoming a mother in my late thirties, I wanted to look for a way to continue to stay home raising my children, while finding a satisfying career to bring in income. I began working only a couple days a week as a paralegal, which I enjoyed and did allow me time at home with my children, but…I wasn’t fully satisfied. Something still felt missing in my life, creatively. I began pondering the idea of writing a novel again shortly after the birth of my daughter. It started as a little voice in my head at first, then slowly became louder and more forceful as time went on. Finally, I woke up one day with this story in my head and just started writing. I found it so easy and the words just flowed onto the page. There was a fire inside me to finish that I never found in any story I attempted to write in the past. Thus, Anatomy Of An Affair was born. It is about a woman now in her early forties, who wants to sit with the reader and tell her story. Lily Wentworth is at a point in her life where she can’t fathom her actions over the years, specifically, her affair with Kyle O’Reilly, her husband’s best friend. Lily decides to open up and reveal her life, not to make herself sympathetic to the reader, but in an attempt to trace her steps leading to the current point she is at in her life. 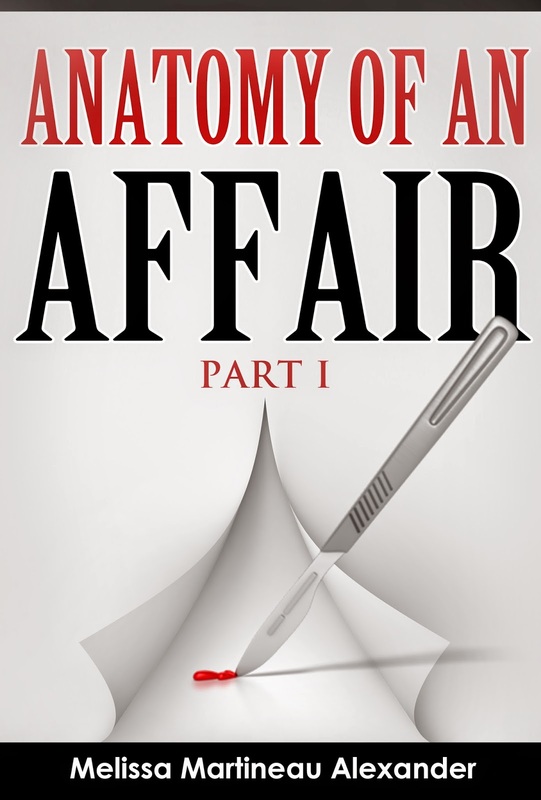 She feels if she dissects her life and actions, she will discover the “anatomy of an affair”. I think people will appreciate that this is less a story about romance, but more of a character study about understanding how essentially good people can behave in a way that is detrimental to themselves and the people around them. Without divulging too much, I think every person who reads this book will have some part inside of him or her that is relatable to Lily. What inspired you to write a book about a woman who has an affair with her husband’s best friend? Specifically, I once dated a man on and off who, during that same time, got another woman pregnant and married her. When he called me stating he was on vacation visiting his parents, he was actually on his honeymoon. I never had a clue until I mentioned I was seeing this person to a friend. Not only was I surprised that she knew him, but she also proceeded to tell me that his wife just had their baby the week prior…while he was still seeing me! Of course, I immediately stopped seeing this person. That experience made me fascinated with how people behave the way they do. Maybe I should have studied psychology, but I found my outlet to be writing a saucy piece of fiction instead. Tell us about the protagonist, Lily Wentworth. Deep down, Lily Wentworth is a selfless loving person, but she’s complicated. At times she’s very aloof and cold. Other times, she’s as vulnerable as a child. She a walking contradiction and I enjoyed creating her with so many layers. How do you hope readers will respond to your book? I hope readers find it entertaining and find something he or she can relate to among the various characters. Without giving too much away, what can fans expect from part 2 of the series? Lily is still on her way to finding the answers with some twists and turns along the way. There are people who will constantly live their lives going around in circles because it’s safe, easy or just all they know. There are others who’ve finally had enough and are willing to stop the cycle, no matter how difficult the road takes them. This series is about surrendering and finding hope.